THE Maha Sabha has lost its Spiritual Head. 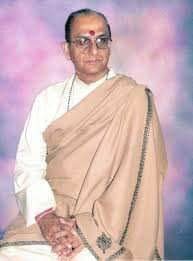 Dharmacharya and President General and Spiritual Head of the Maha Sabha, His Holiness Shri Uttam Maharaj died on Thursday morning at the age of 70. Opposition Leader Kamla Persad Bissessar remembered Pundit Maharaj as an advocate for peace and harmony and said she was saddened by his passing. Having served as Spiritual Head of the Maha Sabha for more than 13 years, Persad-Bissessar said he made immense contributions to TT, recalling that he spent a great part of his life as an educator in his hometown of Rousillac and throughout the country, teaching Hindi, Music and Sanskrit. She said he was a firm believer in the important role education plays in ensuring children are instilled with positive values and learn important life skills to become productive citizens of the nation. An avid enthusiast of the arts, music and culture, Pundit Maharaj was an accomplished sitar player and often adjudicated in competitions in different educational divisions of the Ministry of Education. “I offer condolences to his family, friends, and members of the Sanatan Dharma Maha Sabha, as well as the national community on behalf of the United National Congress and on my own behalf,” Persad Bissessar said. MP for Tabaquite Dr Surujrattan Rambachan in offering condolences also recalled him as a man who spent most of his life dedicated to uplifting the spritual as well as secular well-being of the Hindus in particular and the nation in general. “In serving as Dharmacharya, Spritual Head of the SDMS he did so with dignity, forbearance and above all humility. Always soft spoken, he conducted his affairs in a manner which gained him respect by all people. For this position of Dharmacharya he had prepared himself at the feet of his elders including his father as well as his grandfather Pundit Surujnath Dubey who were also his mentors,” Rambachan said. “Pundit Maharaj was married to Indra, the daughter of the late Pundit Krishna Maharaj of Caroni who was also a Dharmacharya of the SDMS. His period of study for this exalted position to which he rose included a sojourn in India. Pundit Uttam Maharaj had a special place for children since whether it was Phagwa or Baal Vikas he was always present to inspire them. “The Pundits Parishad of the SDMS would have benefitted tremendously from his knowledge of both the rituals and Hindu Scriptures. We mourn his loss along with his family and the Hindu Community,” Rambachan said. Reply to "Maha Sabha loses its Spiritual Head"